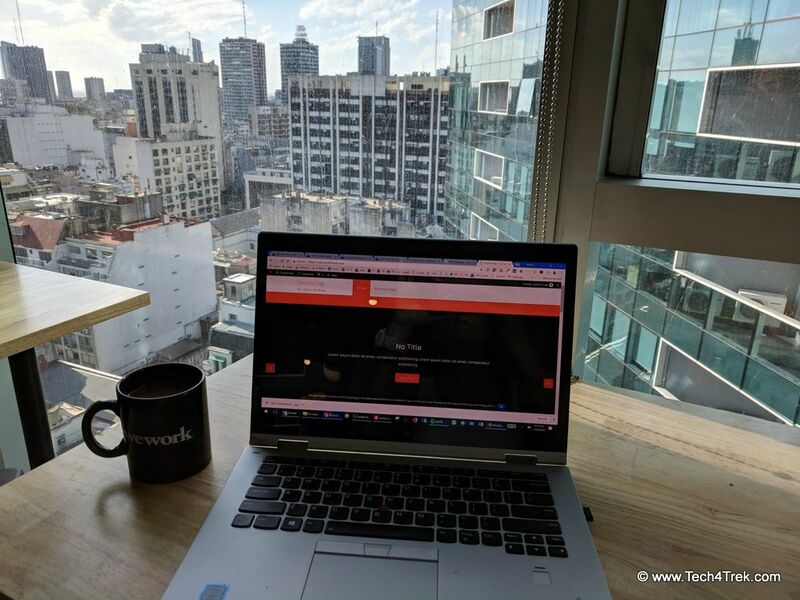 The WeWork office in Torre Bellini Buenos Aires, in Microcentro which is a business district, is a gorgeous 24-story modern building with a 360 degree roof deck and most importantly, FREE BEER! The offices are well equipped, the people dress smart business, and overall it has a very corporate feel. It’s less like a proper coworking space and more like a big corporate building with a lot of small companies. The elevators are the most unique I’ve ever seen – you put in your floor number to call the elevator and then it tells you which of the four elevators to enter. You can’t even press a button – they are all lit up when you get in and obviously, this is to get people to their floors in the most efficient way. Pretty cool, unless you mess it up like I did and have to go on a long ride without being able to press your floor button. 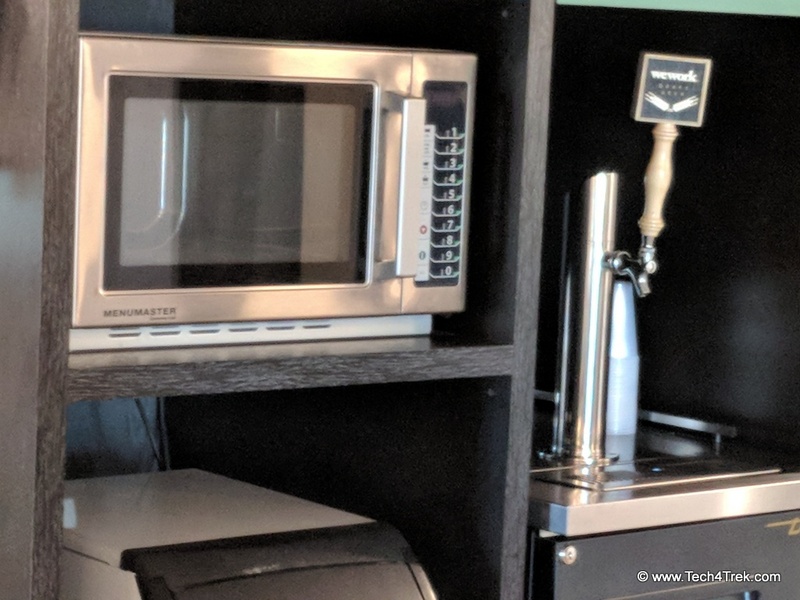 Every floor is equipped with coffee, tea, water, and even their own WeWork Beer on Tap (until 8pm). The 24th floor has a beautiful cafe where lots of people work and the 25th floor is an outdoor roof top with all around views of Buenos Aires. Microcenter, the Buenos Aires business district is lively during the day, with lots of lunch options, but fairly dead at night. Since Microcenter is a business district, it is dead on the weekends – even the Starbucks is closed Saturday and Sunday. Nomad House (nomadh.co) is a recently opened space right across the street from WeWork in a converted hotel with all studio apartments. The monthly rate is about 14,000 ARS ($700 US) per month. The building has a nice gym and lobby, yoga mats for use and a rooftop where people socialize and BBQ. The rooms are OK, but they could definitely use some updating. 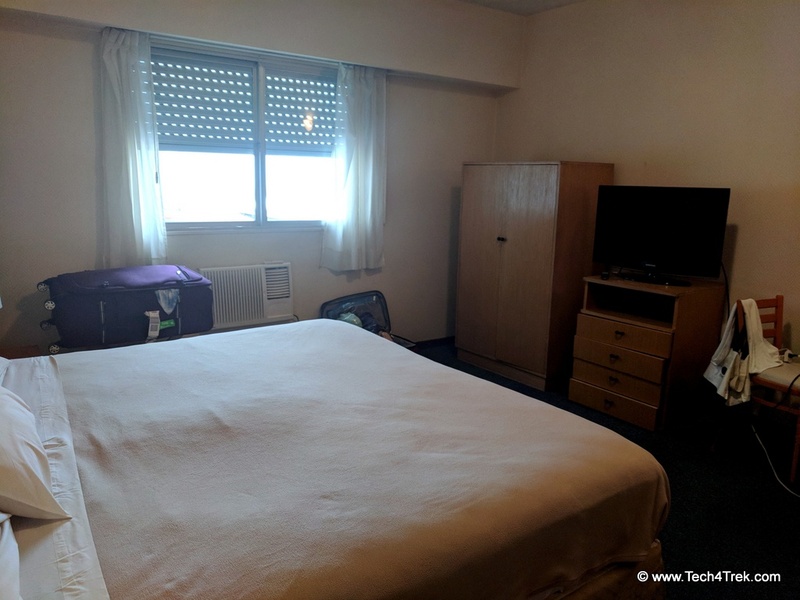 In fairness, I was there as part of a larger group, Pangea196 (we are digital nomading for a year in 12 countries), so we were not paying Nomad House directly. Tato and Juli, our fearless group hosts, were amazing in providing us assistance with things to do, places to eat, making phone calls, fixing anything broken and all around great people. 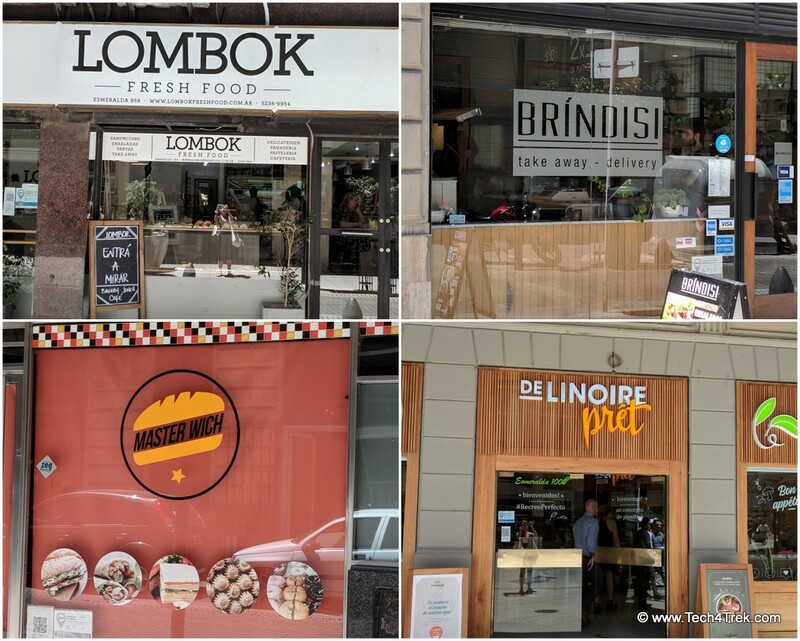 Great local spots for grab and go lunch are Brixton, Lombok, Master Wich, Brindisi and DeLinoire Pret, all of which offer a selection of sandwiches and salads for take away. 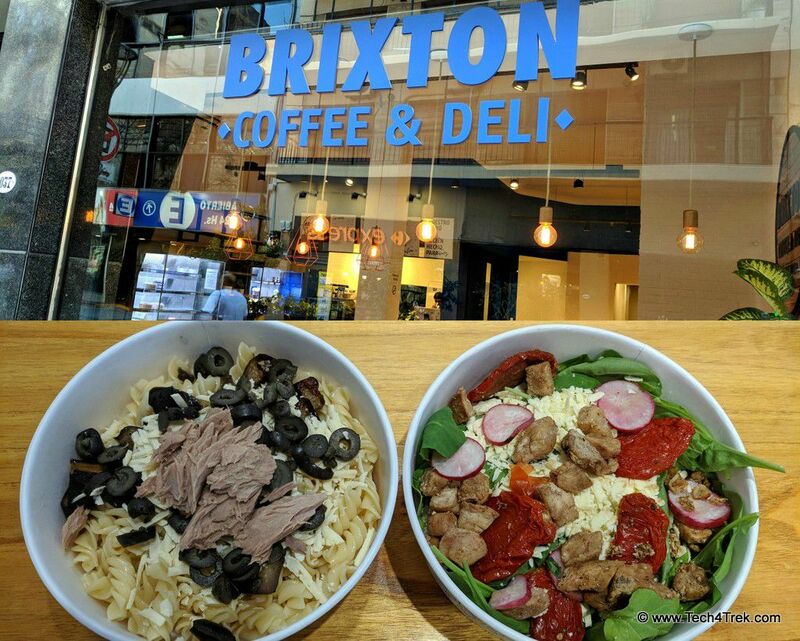 Brixton was definitely my go-to spot and has a great deal after 4pm where all their food is half price. If you head over there, make sure to tell Emilio, the owner, Melissa from NYC says hello! Love that guy. For a sit down lunch, you’ll want to check out Del Toro and Aldo’s Wine Bar, which is next to Starbucks. 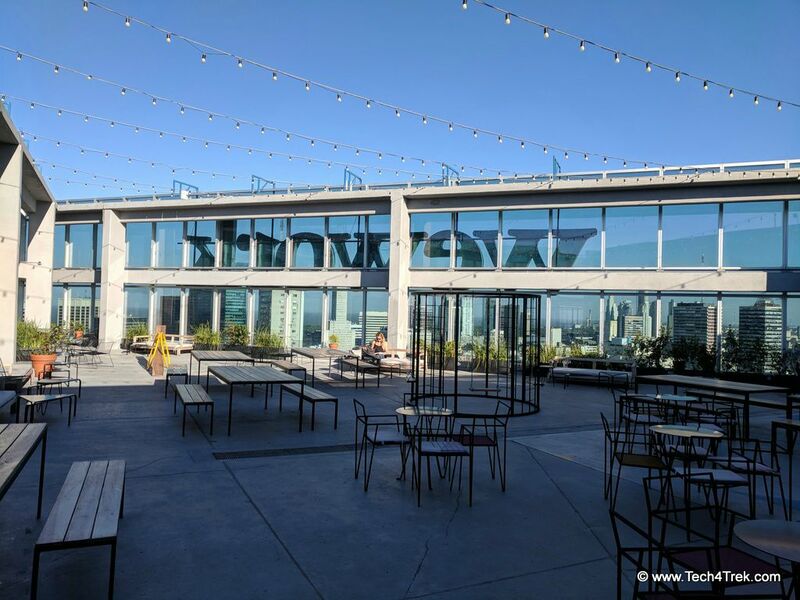 For a nice happy hour or sit down dinner, venture to Dada (French) Aldo’s, Del Toro, SkyBar, which is one block away in the Hotel Pulitzer and Tanta, a great Peruvian restaurant right outside WeWork. 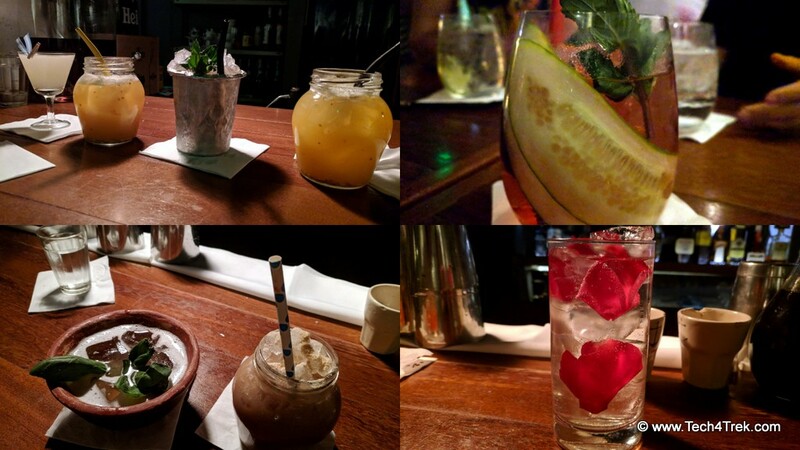 A few blocks away is an amazing speakeasy, Floreria Atlantico, which makes some of the best cocktails and food I’ve EVER had ( I’m from NYC and have bartended)! It’s easily the best bar in all of Buenos Aires and the set up is super cool. 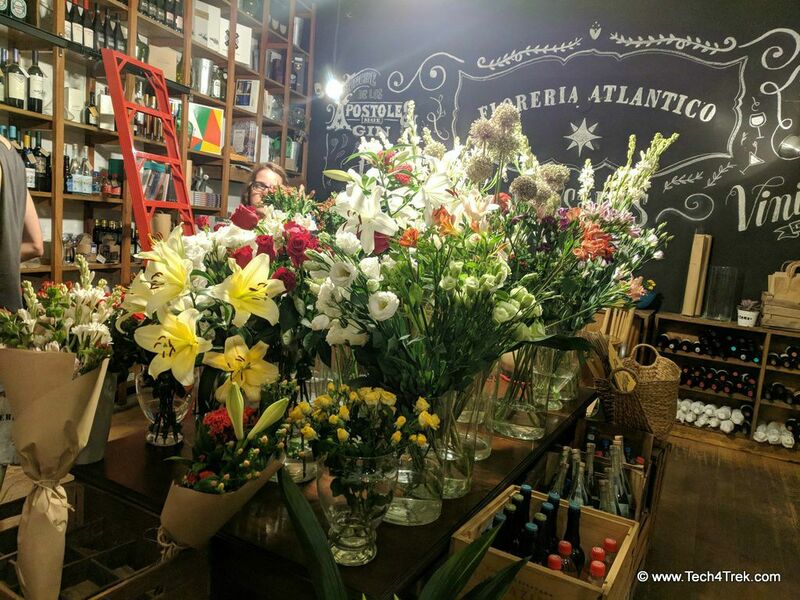 You walk into a flower and wine shop, which smells amazing! Then, you open what appears to be the refrigerator door, to go downstairs into a cocktail den. Best Drink: El Charo Azteca (Tequila, Smoked pineapple juice, Cilantro, Chimichurri). And yes a drink with Chimichurri is one of the best things I’ve ever tasted. Couple it with their Best Dish: Pulpo (Octopus) and your mouth has never known such heaven. Both are MUST TRYS! If you are in Palermo, try their sister restaurant, Chori, which is cheap, but delicious, street truck food in a small shop around a community table. They take traditional Choripan (smoked sausage) to a whole new level and were voted the #1 Choripan in the world. About $9USD will get you a huge, delicious smoked sausage sandwich and a glass of Malbec. 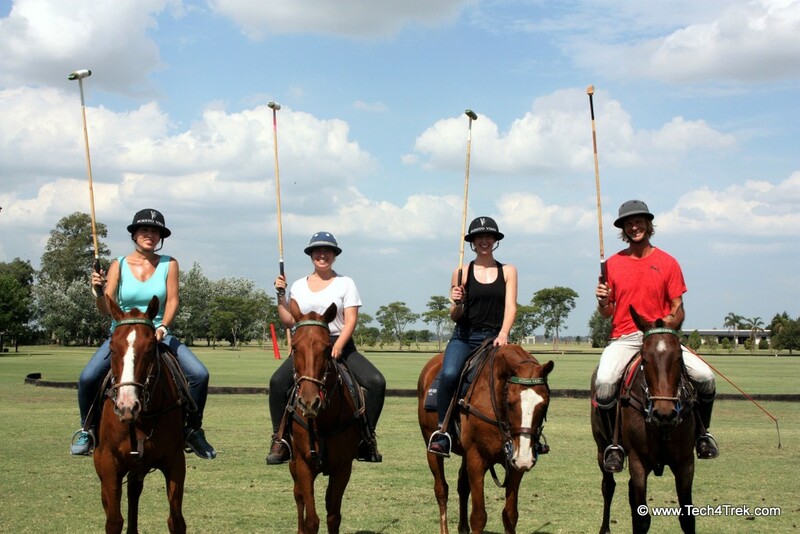 Polo Day at Puesto Viejo Estancia and Polo Club is a phenomenal experience and I highly recommend it to anyone! The Puesto Viejo Polo Day consists of a polo lesson, some chill time to jump in the stunning infinity pool or relax, biking around the estate, a lovely multi course Asado lunch, an afternoon polo match, perfectly narrated by our instructor, Chris, who made it sound like a professional ESPN broadcast. You get to watch a professional polo match in Buenos Aires, if they are scheduled that day, and round trip transport is included. From start to finish, this was a spectacular day and a must-do during a stay in Buenos Aires! 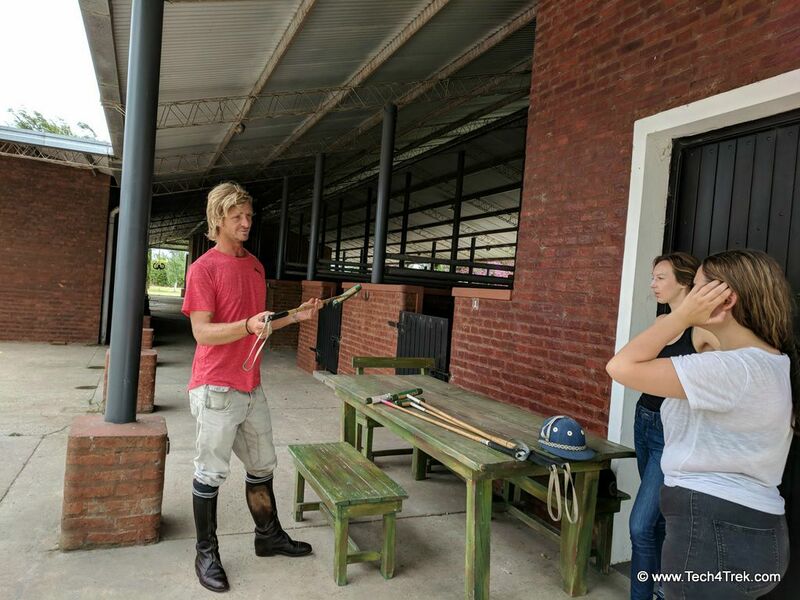 Those with more riding experience will do slightly better at Polo, but it isn’t a requirement to attend Puesto Viejo Polo Day and our instructor, Chris, made it equally fun for all involved. 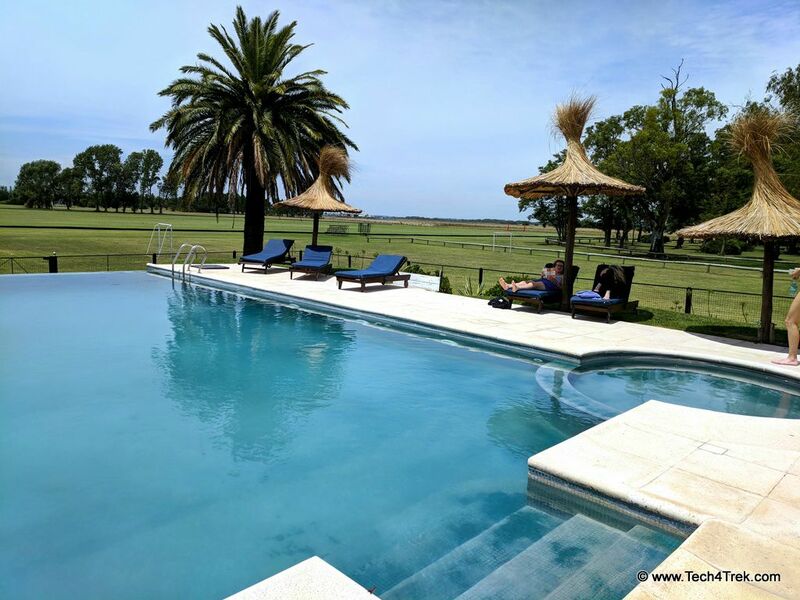 You’ll want to have jeans and sneakers or boots, a bathing suit for this amazing pool, as you’ll have at least two opportunities to enjoy it, and possibly a change of clothes because polo is HARD and you may not want to put your sweaty jeans back on after a dip in the water. Puesto Viejo Polo Day – Polo is HARD! 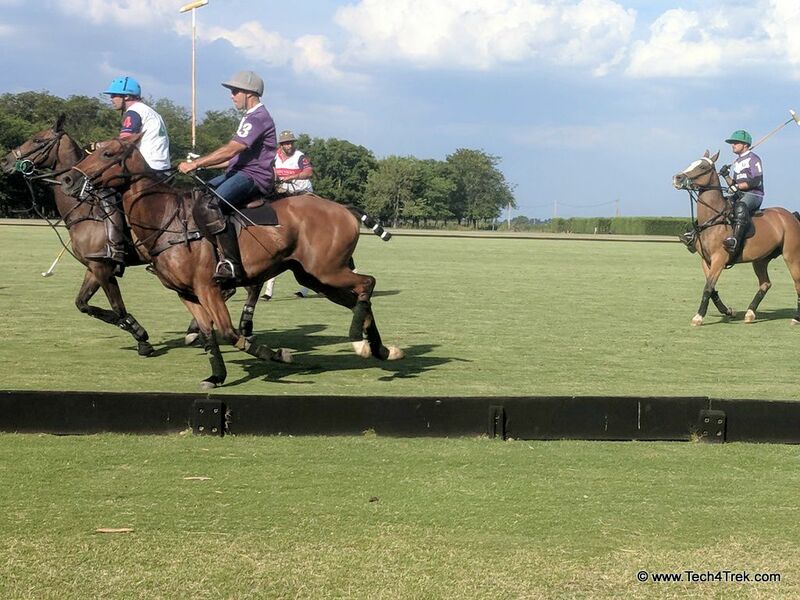 These professional polo players make it look so easy, but make no mistake it is a HARD SPORT – like playing hockey on a galloping horse!!! Clearly, I am not quitting my day job to be a professional Polo Player but what a fun time and gorgeous estate! Plus, if you get a horse that loves the game like I did, he just knows to run for the ball, so you don’t have to do much. Of course, being next to the ball and hitting it are two entirely different things.